Bazinga! Dr. Sheldon Cooper's tag line has gone interplanetary! This Big Bang Theory Sheldon Bazinga! 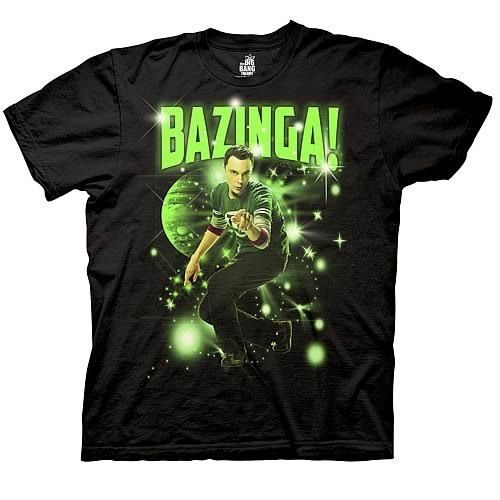 Stars Black T-Shirt features an image of Jim Parsons' portrayal of Dr. Sheldon Cooper amidst a whirl of glowing green stars and planets in space below his famous "Bazinga!" tag line. It's a great gift for any fan of the Big Bang Theory series!